If you bring up more than a teaspoonful of blood, go to A&E immediately. Haemoptysis means coughing up blood from the lungs. It can look like a small amount of blood-streaked sputum, or larger amounts of bright red frothy sputum. This is a relatively common symptom among CPA patients, and some ABPA patients. It can be worrying the first few times it happens but most patients come to understand what is normal for them. If anything changes in the amount or pattern of your haemoptysis (or if you experience it for the first time) then you must tell your doctor, because it can be a warning sign that your disease could be progressing. Massive haemoptysis is defined as 600ml (just over a pint) or blood over the course of 24 hours, or 150ml (half a can of Coke) over the course of an hour. However, even much smaller amounts can interfere with your breathing. If this happens you must call 999 immediately. If you are having a lot of large bleeds then you may be prescribed tranexamic acid (Cyclo-F/Cyclokapron), which helps to stop the bleeding. It is a good idea to keep the packaging so that you can easily show the paramedic exactly what you have taken. Occasionally our patients find it difficult to communicate the seriousness of this situation to paramedics and other clinicians, especially if they are unfamiliar with aspergillosis. 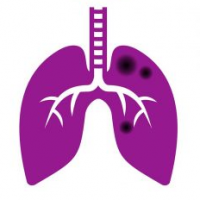 Patients whose lungs are damaged by aspergillosis and/or bronchiectasis can deteriorate quickly, so it is important to be firm and insist that they take you to hospital. We can give you a wallet alert card that includes a note about this for paramedics. If you are admitted to hospital for haemoptysis, you may receive blood or fluid transfusions. You may need a bronchoscopy to find the source of the bleeding or be intubated to help you breathe better. You may need to undergo embolization to stop the bleeding, which is done by inserting a wire into a blood vessel in your groin. First a scan will locate the damaged artery, and then tiny particles will be injected to form a clot. In a small number of cases surgery or radiotherapy may be suggested. 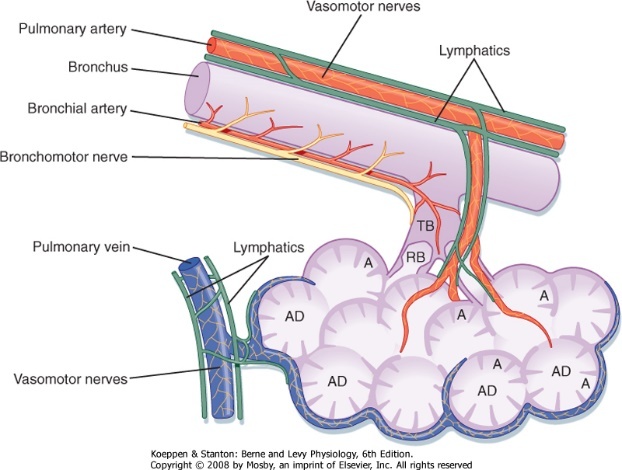 Guide to bronchial artery embolization written by the Oxford Centre for Respiratory Medicine (NHS). Interestingly, the lungs have two separate blood supplies: the bronchial arteries (serving the bronchi) and the pulmonary arteries (serving the alveoli). 90% of haemoptysis bleeding comes from the bronchial arteries, which are under higher pressure because they come directly off the aorta.